Anas Qartoumeh is a gay Syrian refugee who fled his country in 2015 to escape the ongoing civil war, which has killed hundreds of thousands and displaced millions. He was also fleeing Syria's ultra-conservative culture, which forced him to keep his homosexuality a secret. The Grand Marshal of the 2018 Kelowna Pride March is proud to lead the parade, but more important, he's just proud he can be himself. Anas Qartoumeh is a gay Syrian refugee who fled his country in 2015 to escape the civil war, which has killed hundreds of thousands and displaced millions. Qartoumeh also wanted to flee Syria's ultra-conservative culture, which forced him to keep his homosexuality a secret. He now lives in Kelowna and for the first time, he told Daybreak South host Chris Walker, "I am me now." "It's a very different feeling. It took a long time for me to be out, gay," Qartoumeh, 34, said. "This is the word that has given me the most shame in the Middle East and now I have made it my identifier in Canada. Qartoumeh described his life in Damascus, Syria's capital, as one of secrecy. He said he pretended to be straight both because of rampant homophobia in that country and also the threat of being jailed. "[It's a] very conservative culture," he said. "They would never accept these things." He said the only people he could confide in were Western visitors or women friends who he said who he said also faced inequality and discrimination." His father, he said, knew for a long time that he was gay because of his mannerisms as a young child. He did tell his mother, who died in 2014, and while she was supportive, she was overwhelmed and wanted his identity kept a secret. When Qartoumeh faced being drafted to the Syrian army, he fled the country, first to Lebanon and Iraq, and then to Canada in late 2017 after he was sponsored by the Central Okanagan Refugee Committee. 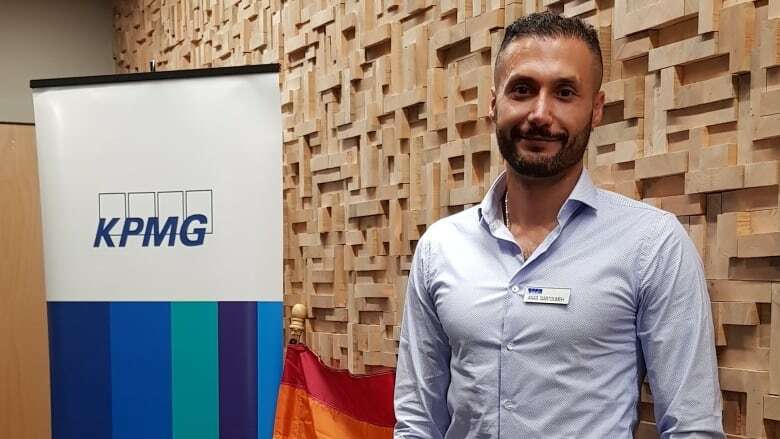 The Kelowna Pride Society said Qartoumeh was chosen in part because of the diversity theme of 2018's march. "He reminds us of what is still unfortunately happening to LGBT2Q+ people in some parts of the world," said Dustyn Baulkham, past president of Kelowna Pride. "At Pride, we march for those who are not able to live as their authentic selves." Qartoumeh says he hopes his story will show other LGBT people living in repressive societies that they are valued, even if not in their home countries. He wants Canada to keep advocating for human rights abroad even if some countries take umbrage to criticism. 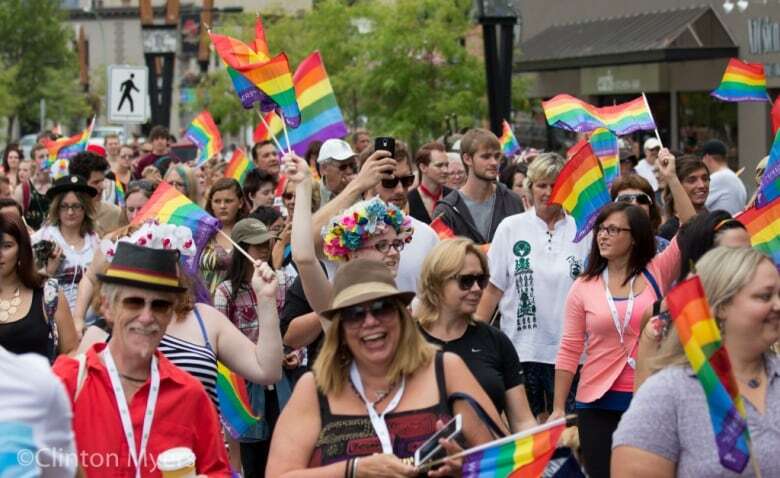 The 2018 Kelowna Pride March takes place Saturday at 1 p.m. in Stuart Park.